Apple introduced a special watch Apple Watch Edition for special people that can give them pride wearing it. When you’re buying a $10,000 watch, you expect first-class service — and Apple is apparently ready to deliver. Sources for 9to5Mac claim that people who buy the gold Apple Watch Edition will get to skip the queues whenever they need help. They’ll be bumped to the front of the line when buying, and they’ll have an hour to spend trying out watches in a private area (complete with an expert) instead of 15 minutes at a table like the hoi polloi. And if the worst happens, they’ll get at least two years of access to a dedicated Edition phone support line that operates around the clock. This kind of bend-over-backwards help isn’t unusual in the luxury world, where concierges and other one-on-one services are common, but it’s not exactly standard fare for a company that will gladly sell you a $50 music player. Thankfully, the report also suggests that Apple won’t save everything for its wealthiest customers. If you buy either the regular stainless steel Watch or the Edition, you’ll have the option of “virtual personal setup” that has an Apple Store staffer guiding you through your new wristwear using video chat. The only big problem is that you get none of these perks if you buy a Watch Sport — you’ll have to settle for the same assistance that you’d get for your iPhone. Still, it’s good to know that you should get more than just a nicer-looking watch (and some bragging rights) if you’re a big spender. 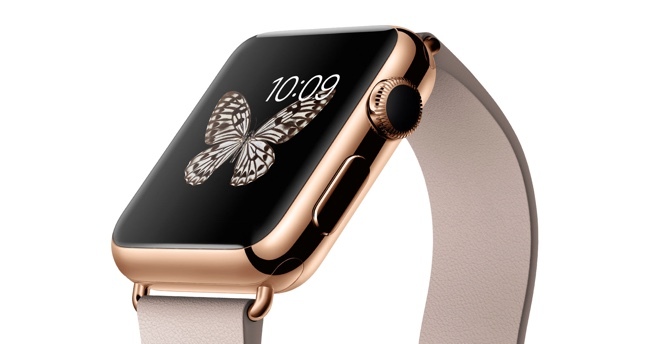 Those interested in shelling out $10,000 or more for the top-of-the-line 18-karat gold Apple Watch Edition can decide to arrange for a personal appointment at an Apple Store, or via a video chat. If those two options are not viable, you can arrange for a personal courier to come to your place to try on the Apple Watch Edition and close on the sale. At the store, those with an appointment are immediately whisked away without a second’s wait for a personal one-on-one with an Apple Watch expert. The meeting can take up to 60 minutes with half the time set aside to have the watch put on your wrist. The set up is similar to what you would find at a high-end jewelry store. The Apple Watch Edition has a separate area where you can try it on with a glass display case, a mat, and a couple of stools. Only two of the high-end gold models can be viewed up close at one time unless the store employee feels that conditions allow for a third watch to be taken out. There are even special rules to be followed if a customer looking at an Apple Watch Edition model wants to compare it to a lower priced Apple Watch Sport unit. Those buying an Apple Watch Edition timepiece will be given a special technical support number good for 24/7 support for two years (in English only, to start). With Apple Care+, this becomes three years. The Apple Watch Edition models will originally be available only in Apple’s largest markets with a gradual roll out to its other stores. There is a whole process to trying on the Apple Watch in the Apple Store. Demo units run a loop that explain certain functions although Haptic Feedback will function so that customers can experience it. Those who want to try an Apple Watch at the Apple Store without going through an Apple rep, can use a demo unit which will be attached to an Apple iPad mini. These demos will work anywhere in the store. As we told you last month, the expensive 18-karat gold Apple Watch Edition units will be kept overnight in a jewelers’ safe. The MagSafe magnetic chargers inside the safe make sure the watches are all powered up and ready to go to work the next morning. Remember, pre-sales of the Apple Watch start on April 10th with the timepiece launching on April 24th.